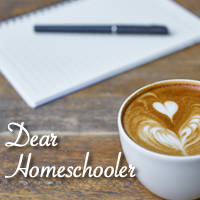 For us, homeschoolers, the world is our classroom. Even when we are not planning, organizing, and teaching lessons during ‘school time,’ we are exploring caves, discovering nature, and finding new ways to get exercise and gain life skills. In truth, most of my day is, in one way or another, focused on my kids. ZooKid: Dad you are fun! Mom is only a little bit fun. ZooKid: Because you play video games with me, and mom doesn’t. This really stopped me up short. I spend a lot of time interacting with my kids. I admit, video games is not high on my ‘like list,’ and so I have opted to play other games, etc. I thought playing video games was just a special thing he did with his Dad, and it is, but not in the way I was thinking. It’s true that both my husband and I were playing games with our son, and while he definitely enjoyed both types of games, video games are at the top of his recreational interest board. It is what he loves right now. The difference between my husband’s play and mine was that he was connecting to ZooKid’s personal interests. As an educator, I’ve thought about the connection between interest and learning extensively: incorporating the student’s interests can increase their engagement and thus their learning. I never thought about the connection between interest and play. Fun is fun, right? Obviously, not. I decided that I wanted to connect with my son on his interest field. so, last weekend, I sat down and played video games with my son. He, of course, had a blast, but the reward for me was when I kissed his little freckle face when I tucked him in bed, he told me I was fun. I will never forget his smile.